Challenge 74 - More than one fold. 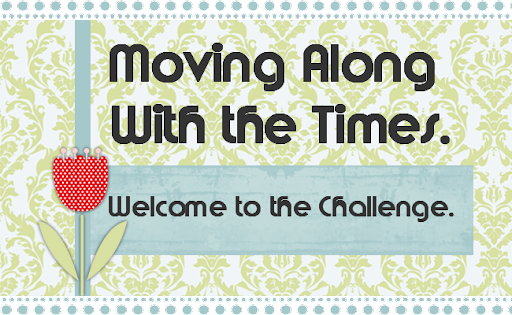 Woo hoo it's my turn (Brenda) to host the challenge this week and I have chosen an anything goes challenge as long as there is more than one fold. So I am looking forward to seeing how you interpret this theme and what wonderful creations you leave for us to come and have a look at. Thankyou to Heidi for last weeks challenge and congratulations to Debby, Lindy Loo, Emma and Deonna, some great cards there girls well done. We are sponsored this week by Robyn's Fetish who gave us some great digis to play with. 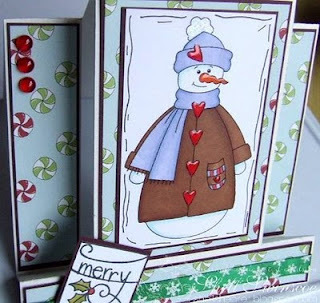 Robyn designs and sells her images at Stitchy Bear Digital Stamp Shop and you can find her images HERE and HERE. "Robyn's Fetish is a Paper Crafting Company for all you Paper Crafting addicts. We sell Digital Stamps and Papers for Digital and Hybrid use. 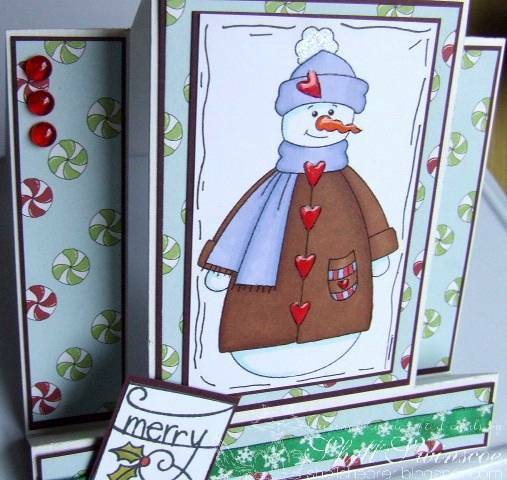 Join our Forum for all Paper Crafting Addicts and have some fun doing challenges. Win some prizes and make some friends!! Robyn's Fetish is a Division of I Did it Creations." The prize for the lucky winner this week is 3 Digi Images from The Robyns Fetish Store. Now just take a look at the fabulous inspiration from the Mawtties - they have really pulled all the stops out for this one - what can I say????? Please do pop over to their blogs and leave them some lovely comments. So now it's up to you. Leave your entry with the linky below and please link back to us in your post. We are happy to see up to 3 creations from each person and you have until 8.00 pm UK time next Thursday the 2nd December - oh my goodness Christmas sounds so near now we are putting down December doesn't it. Anyway have fun and we're just waiting to come and visit you. Good evening, thanks so much to everyone that took part in our challenge last week, we had stome stunning entries! Thanks for making such beautiful cards using my sketch. Debbie , here is her card. Debbie, please email me your address to : thegreenies@tinyworld.co.uk so that I can post you your stamp. 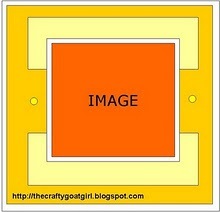 Please go grab your badge from the side bar and display them on your blogs, well done ladies! Please pop back tommorrow as the lovely Brenda is hosting challenge # 74. Good morning, thanks to all of you who joined in our challenge last week. Wow, what a lovely load of bright and colourful cards, well done to the winner & our top three! To this week's challenge, well it's my turn (Heidi) to host this week. I have given you a sketch to follow, which you can tweek if you wish, it can be turned on its side, just make sure its visable to the Design Team when we come on over to see your creations. We are luck to have Little Claire sponsoring our challenge this week. 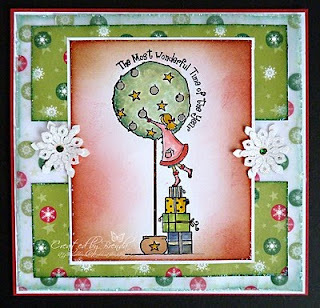 The Design Team have all been given some of the fabulous new Christmas stamp images to play with. I so love what the team have come up with, please do leave them some comments and let them know what you think! You have until Wednesday 24th November @ 8pm to enter, the winner of the challenge and top three entries will be announced here, so please do pop back to see if you have won. Winner and Top 3 Of Challenge 71. 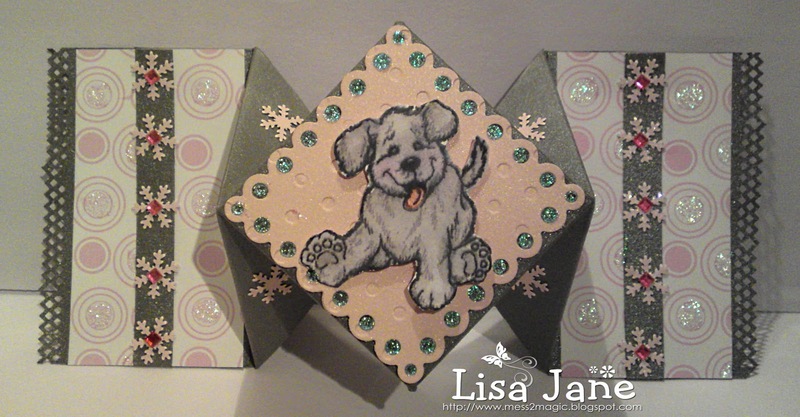 Evening All and Thanks so much for all the lovely cards you made for us on the Nice and Bright Challenge this week. We were sponsored by Stitchy Bear Stamps. And our lucky winner will get 3 digi images from them. Kylie at Inklings From Kylies Kraft Room. Well Done Kylie. If you contact me (Email addy on sidebar) and I will pass your details on to Stitchy. Feel Free to grab our Blinkies for your Blogs. Pop back tomorrow to join us for Heidi's Challenge. Thanks you to everyone who took part Kelli's Challenge last week We loved your cards they were great. r joining us as our Guest Designers too. So no Christmas Cards this week. 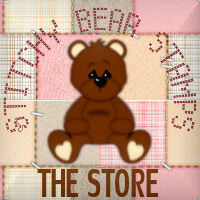 We are being sponsored by our Regular Sponsor Stitchy Bear Stamps this week. They will be giving away Digi images to our lucky winner. We were lucky enough to get a paper pack and some images to play with from the Girls over there. We got The Panda Bear Imagine paper pack and the Artists we got to use this month were Stitchy herself and The Crafty Pad Designs. Panda Bear Imagine Paper Pack and Stitchy Bears Bashful Image. Panda Bear Imagine PaperPack and Stitchys Home Tweet Home. 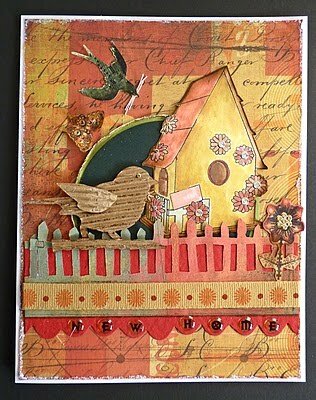 Lisa has paper pieced the Bird House with some of the Papers from the pack. Panda Bear Imagine Paper Pack and The Crafty Pad - Molly Cat and Birdhouse. 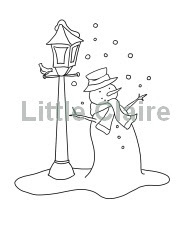 You have until Wednesday 17 November 2010 at 20.00 GMT to get your Nice and Bright Cards in to us. Looking forward to seeing what you make. A Maximum of 3 Cards Per Challenge please and NO Back linking. 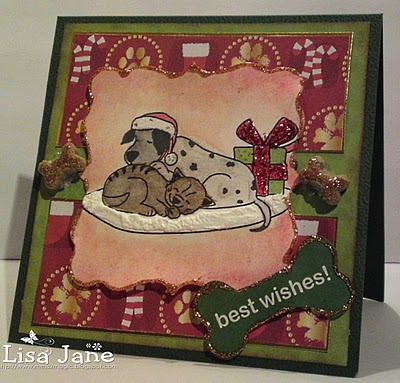 Winner of the prize from Thread-Bare is JANE! Please email Hazel (link on sidebar) and she will get your prize arranged! Well done ladies! Please grab your badges from the sidebar! Thanks so much to everyone who entered; we hope to see you back in the morning for the next challenge! Good morning ladies!! Thanks so much to everyone who joined us last week, your entries were incredible! There was a lot of enabling going on here in blogland hehe. Clare from Thread-Bare is kind enough to sponsor us this week! She is offering some gorgeous peel offs as the prize! Thanks so much Clare!! Hi, I'm Clare. I am the owner of Thread-bare (www.thread-bare.piczo.com). It is a small craft business that likes the personal touch. The products I like to use are the products I sell. I am a stockist of Pepper & Friends, Daisy & Dandelion, Forever Friends, Design House Papercrafts, The Crafthouse Press Ltd & many more. I also stock Cross Stitch & Pinflair kits. 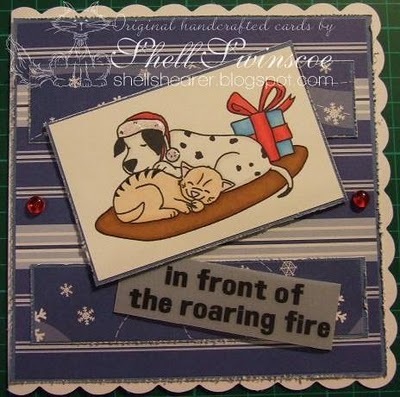 I love making handmade cards & gifts too & I sell these in my Ebid & Folksy stores. I am currently constructing a brand new website at the moment & we hope to launch this in the new year. We haven't had a sketch to work with in a while, so I thought this week would be a good time for that! You can embeliish as much or little as you like as long as you follow the general sketch!